JOIN NOW OR RENEW YOUR MEMBERSHIP TODAY! The annual fee is only $20 per person. 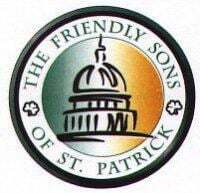 Print this PDF version of the membership form and mail it along with your check (made payable to Friendly Sons of St. Patrick) to: Friendly Sons of St. Patrick Harrisburg Chapter, 908 N. 2nd Street, Harrisburg, PA 17102. All assistance is welcome and greatly appreciated! Fill out the form below and let us know how you can help. Go raibh maith agat!